The NHS is promoting a free, confidential mental health service to help people affected by the 2017 London terrorist attacks in Westminster, Finsbury Park, London Bridge and Parsons Green. It is focused on helping people directly affected by the four incidents such as survivors, witnesses, the bereaved, immediate family members and emergency responders, who may find that they are struggling several months after the event. The service is staffed by a team of specialist psychologists who have experience of working with people who have been involved in traumatic events including terrorist attacks. They can assess whether people would benefit from more targeted psychological support and refer them to appropriate NHS services. Designed to support adults as well as children and young people, the service is based in London but open to anyone across England who was caught up in the four terror attacks. “People are resilient but traumatic events can have a lasting impact,” says Dr Idit Albert, a Consultant Clinical Psychologist and clinical lead for the service. “The bereaved, people who were injured, people who were at the attacks as well as their close family including children, can find that they are struggling several months after the event. “People may be experiencing distressing feelings of fear, anger, shame and guilt or have unwanted or distressing thoughts or memories of the incident. People may also have sleep difficulties and be less interested in pleasant activities or hobbies. “We want to let people know that if they’re struggling help is available. 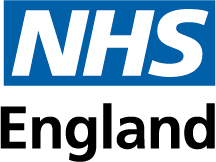 The NHS offers effective psychological treatments such as cognitive behaviour therapy. People can call the service by phone or email. Those contacting the service will be invited to complete an emotional wellbeing screening questionnaire either online, over the phone or by post. A face to face clinical assessment with a specialist clinical psychologist may also be arranged to talk to people further to assess what kind of support they need. This assessment can take place in offices in north or south London, over the phone or by Skype depending on what people prefer. Depending on the outcome of the assessment a psychologist will then refer people for appropriate treatment in local mental health services. “In the early stages after a traumatic event, psychological professional help is not usually necessary. Many people recover naturally however people respond to trauma in different ways and some people may need additional support to help them cope. “This service was established in October last year to support anyone needing additional support and we’ve been working closely with the emergency services to start making contact with people who were affected by the terror attacks and taking action depending on what they need. “So far 470 people have been referred to the service this way but we now want to get the message out that this extra support is available and encourage people who have been affected to get in touch. “As you would expect, a lot of people are still experiencing high levels of distress so we are working very closely with them. “We want to highlight that the service is open to anyone across England who was caught up in the London attacks as we know that many people who were affected were from outside London. Still not being able to enjoy life at all. “We know that a lot of people can start to experience difficulties several months after attacks or major incidents but that they often don’t come forward for help. “This service aims to provide people with a central point for getting the help they need and it’s important for people to know that even if they’ve been seriously affected they can still get help. The service is being funded by NHS England and provided by South London and Maudsley NHS Trust in collaboration with Camden and Islington NHS Foundation Trust. The service will refer people to local services for appropriate psychological treatment, which could include NHS talking therapy services, child and adolescent mental health services, specialist services for post-traumatic services and secondary care.